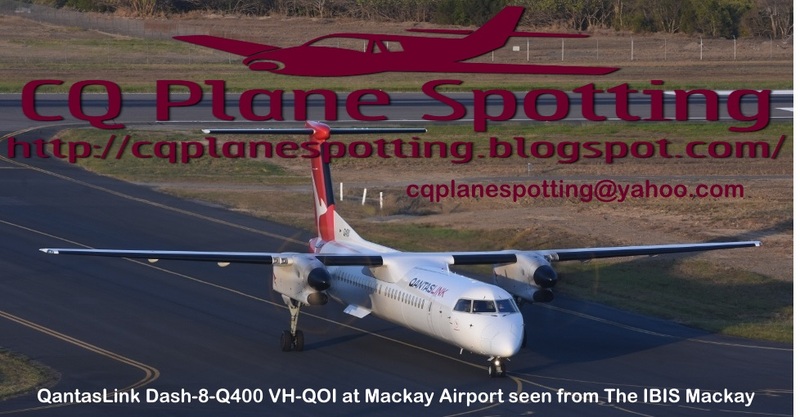 Central Queensland Plane Spotting: Aerometrex (South Australia) Cessna 404 Titan VH-VOA at Rockhampton and Emerald Airports - Plus More! Aerometrex (South Australia) Cessna 404 Titan VH-VOA at Rockhampton and Emerald Airports - Plus More! 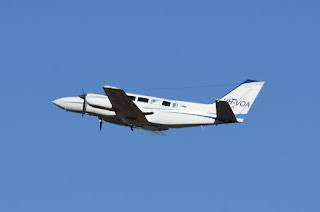 On Tuesday 10 July, Aerometrex (South Australia) Cessna 404 Titan VH-VOA was spotted by me making an early departure from Rockhampton Airport for Emerald Airport. The aerial survey aircraft has only recently arrived into Central Queensland for operations and has also appeared to visit Hervey Bay (Fraser Coast) and Roma Airports over the last couple of weeks. Meanwhile, also on Tuesday 10 July, McGilvray Aviation (West Wing Aviation) Pilatus Britten-Norman BN2A-21 Islander VH-WQA was noted ferrying from Archerfield to Emerald Airport following what we believe to be a long period of maintenance. After taking on fuel, VH-WQA continued to Mareeba. Also on Tuesday 10 July, Vanderfield Pilatus PC-12/47 VH-WPH arrived in Mackay Airport from its Toowoomba base via Biloela / Thangool Airport. It is due to depart to Emerald Airport and stay for the night. VH-WPH is then due to continue to Roma Airport on Wednesday 11 July. Finally, also at Emerald Airport, but on Monday 9 July, the smart little Victoria-based Piper PA-46-350P Malibu Mirage VH-KNV arrived from Maitland. UPDATE! On Friday 13 July, VH-KNV returned to Maitland.